Do you have tired, heavy legs from working on your feet all day? Do you have varicose veins? While gravity is essential for life on Earth, it can also play havoc with your veins. 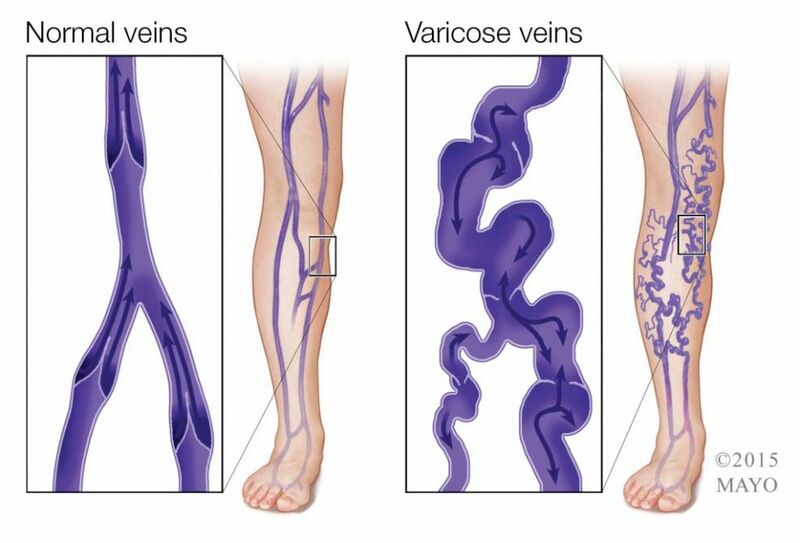 Varicose veins are veins that become twisted, lengthened and dilated as a result of poor circulation, appearing predominantly in the legs. They often develop in the lower extremities because of the effects of gravity on venous pressure due to valves in the veins not working. 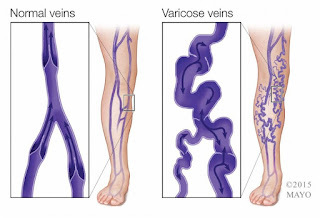 Varicose veins start out as small, visible spider veins but can grow into twisted, bulging veins and lead to lower limb swelling and even leg ulcers. The concept of graduated compression therapy lies on a simple and efficient mechanical principle: the application of an elastic garment around the leg. Depending on the pathology, medical compression therapy can be applied in different forms: socks, stockings, tights/pantyhose or bandages. Graduated compression therapy is medically different from just wearing tights or purchasing simple compression garments at the pharmacy. and efficiently relieves aching and heavy legs by aiding the body in moving blood up the leg. Compression therapy also prevents venous issue during pregnancy and long distance travel and is recommended for athletes for optimal performance and recovery. If no contraindications like severe arterial insufficiency are present, you may even buy compression stockings of lower pressure without prescription. Most extended health care plans cover compression therapy as it is viewed as medical therapy. How Do You Choose The Best Compression Therapy? If you are looking for medical-grade compression therapy, it is best to work with a professional trained in determining the compression strength and style that is best for you. to address circulatory concerns, you want to choose socks or stockings that have graduated compression versus the same degree of compression throughout. there are a number of different fibers including merino wool, cotton and microfibre. the length of the compression - socks versus stockings depends on the symptoms that you have and what you want to achieve. Medical-grade compression stockings also protect your legs from extreme heat and cold with their moisture-wicking technology in the heat, and warm, comfortable natural fibres for the cold weather. If you want to treat your varicose veins, or if you have more advanced circulatory concerns that you want to manage better, consider adding compression therapy into your treatment regimen. Dr. Denis Marier, ND is a certified compression therapy fitter for Sigvaris. Call the clinic at (905) 940-2727 or email Dr. Marier, ND at d.marier@naturopathicfoundations.ca to book an appointment to get fitted for the best compression socks, stockings, pantyhose, and limb-wraps for you.